"When entrepreneur-conservationist Philipp Kauffmann left his job at the UN to start a new venture, he sought inspiration among seven generations of recognized forest explorers and environmentalists in his family. His great grandfather had founded one of the largest nature conservation organizations of germany, and 220 years ago one of his ancestors, G. L. Hartig, helped to coin the term sustainability itself. Fom this legacy Original Beans was born. 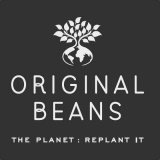 Since 2008, Original Beans has helped to plant one million trees in regions as remote as the amazon and challenging as Eastern Congo. 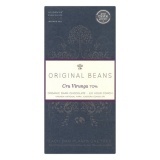 Original Beans has changed the lives of twenty-thousand cacao growing families, preserved some of the rarest cacaos in the world, and helped to buffer forests that harbour the last mountain gorillas and the breathtaking birds of paradise. 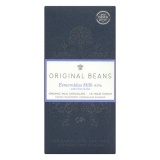 Original Beans chocolates have repeatedly won the most prestigious chocolate awards and are served in the world’s best restaurants. We are delighted that many chocolate lovers around the world share our passion for luxurious chocolate and rigorous sustainability. Together, we change the world through chocolate." 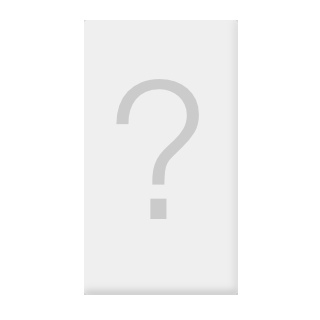 Original Beans bars are currently manufactured by Felchlin.